Hoping to give you some tropical fruit inspiration for home decor and accessories, this post shows how pineapple, watermelon, and other tropical fruity beauties can be used to make your interiors mouthwatering. Let's get fruity! I sometimes write affiliate posts, and this is one of those. Read what this means and why I do it here and why it doesn't cost you an extra penny! Scotland isn't the most tropical of countries - it has the wet part, but not the hot wet. So introducing fruits that flourish in a warmer clime might seem like a gamble for a Scottish home interior design blog, but it's the very fact that our winters can be dark which means we need a touch of fun and a splash of colour. See if you don't agree by the end of this roundup of the best tropical prints and ornaments! Maybe it's because they're summery, maybe it's because they're juicy, but pineapple and other fruits in a print or ornament is totally hot right now. And in a country like Scotland, where summers can be, ahem, disappointing, what better way to cheer up than with a pretty reminder of balmy climates? Perky, with a hint of sass, this pineapple door mat is so cute, I don't mind it being a bit cheeky. It might even make my visitors smile, and that can't be a bad thing! 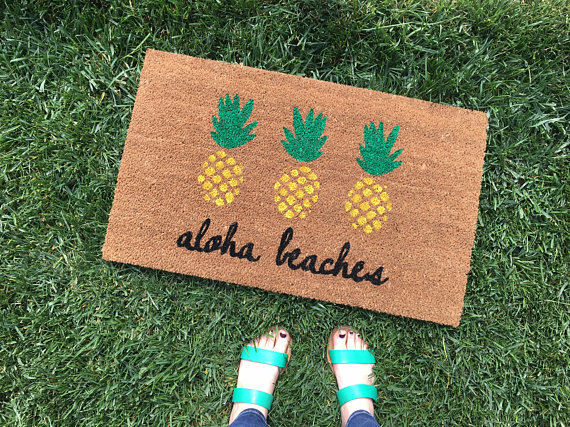 Buy the Aloha Beaches Welcome Mat now on Etsy. With a pink gingham back, this cushion (with or without pad) is so summery it's likely to brighten up any part of your room. 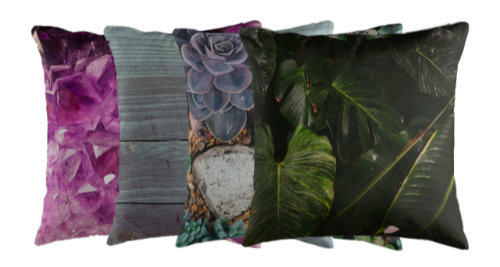 One or two of these peeking out from a collection of less "in your face" cushions on your sofa will make this baby pop. I recommend picking out some dayglo and neutral partners (see below). 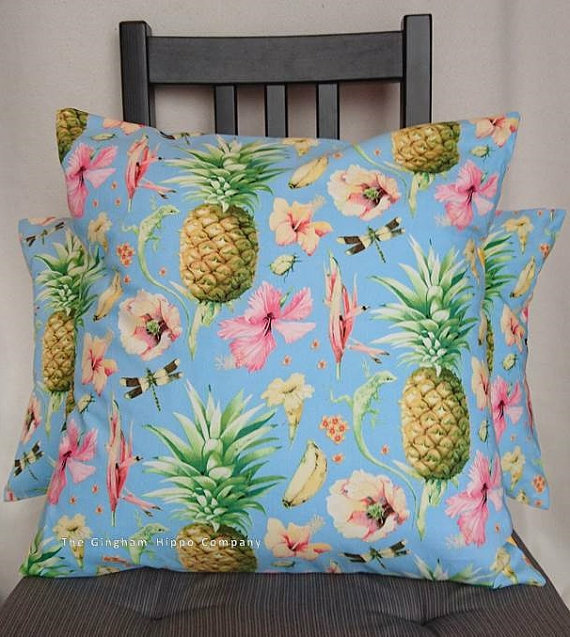 Buy the Blue Tropical Pineapple Cushion now on Etsy. 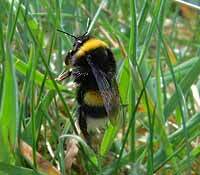 This cute little fellow is here to be poster-borne inspiration for you! This is not just another print, each one is hand drawn out by the illustrator. As they are from Newcastle, I can't help but give his slogan a Geordie accent. Propa! 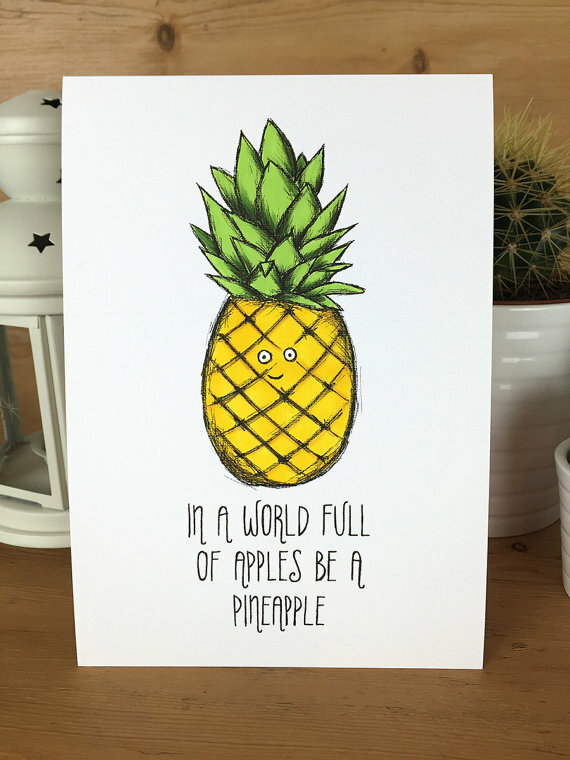 Buy the Pineapple Poster now on Etsy. 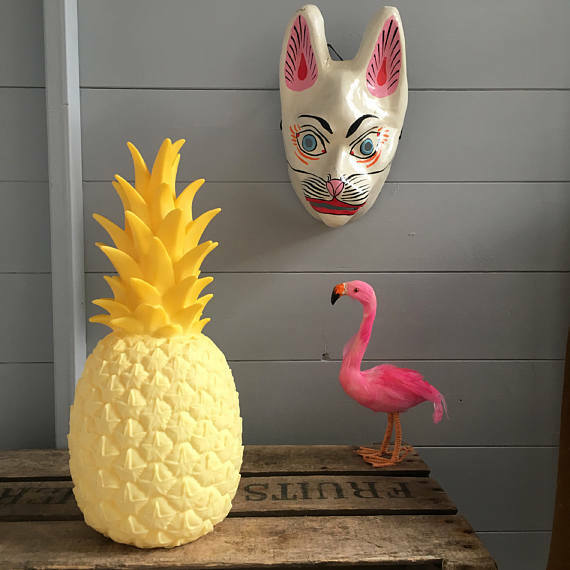 A soft yellow glow from this pineapple shaped lamp will add a touch of pina colada fun to any room. If this is mood lighting, my mood is ay-ay-ayee! Buy the Pineapple night light now on Etsy. Big smiles, water fights with the garden hose, loads of people around for a party, this is what watermelon makes me think of. And then later, when we were grown up, vodka! But apart from that, it's a really strong design motif for your house and garden style picks. 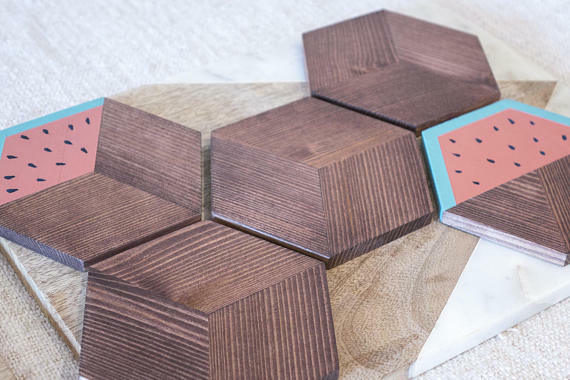 These wooden coasters would be beautiful anyway, but the little watermelon designs are even better. I might have a problem here, though. I maybe wouldn't want my guests to put their coffee mug on them! What a unique and quirky gift idea, too! Buy the Hexagonal Watermelon Coaster Set now on Etsy. 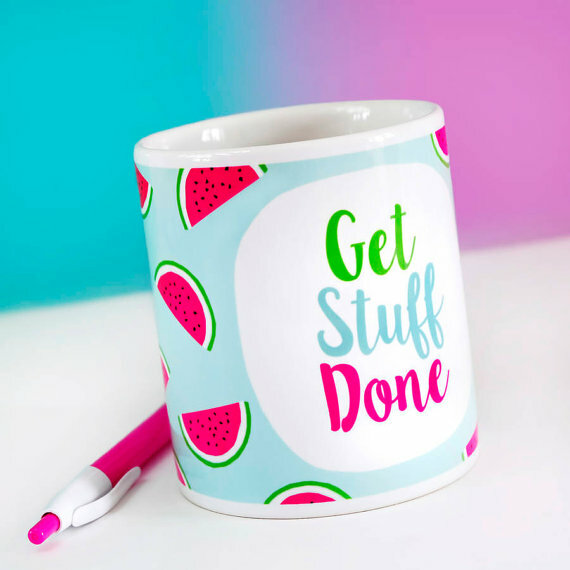 This super pretty watermelon decorated mug is going in my home office! This design company have a great selection of awesome inspirational cards and printed home accessories. Check them out at We Are Paper Plane. Buy the Inspirational Watermelon Mug now on Etsy. This is pretty full on! But you couldn't say that your day wasn't brightened up. This watermelon pattern wallpaper might be great used in smaller swathes than a whole wall. It could also be perfect for decoupage type finishes to furniture. Buy the Watermelon Pattern Wallpaper now on Etsy. If you're skilled with crafts, why not make your own fruit patterned cushions or home decor? 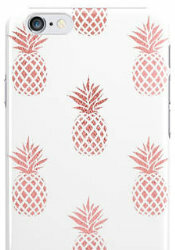 Okay and some more pineapple things as I might be slightly obsessed! These might not all fit perfectly into the home style category but I don't care! Days are starting to get darker but my tropical fruit prints are going to have some longevity as a rainy winter approaches. And who knows, I might get a holiday in a lovey hot climate this year where I can wear my pineapple print dress without getting goosebumps! Do you own anything with a tropical fruit motif? 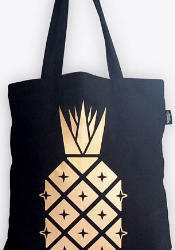 Are you obsessed with gold foil pineapples like I am? Let me know in the comments!